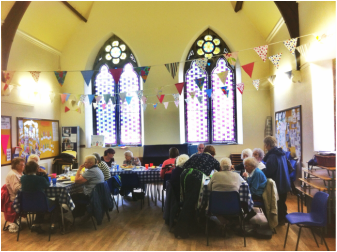 Midweek at Saint Andrew's offers an opportunity for people to get together every Wednesday lunchtime. Come along from 12.15pm for a simple lunch (a choice of soups and bread, followed by delicious cakes with tea or coffee). It's a great opportunity to enjoy home-cooked food and good company. There is no charge. Then, from 1.15 until 1.30pm we have a short, reflective midday prayer service. Anyone is welcome to come along to either or both. For more information, contact the Church Office by email.